Who tells and interprets civil history without seeing the role of charisms tells a partial history.The experience lived in these years took what was an idea of mine and cultivated it into what is a profound conviction today: whoever recounts and considers civil and economic history without seeing the role of charisms, recounts a partial (and therefore erroneous) version of history. When charisms are at work in civil dynamics, another dimension enters into the scene with them. It is one characterized by an action of extraordinary and rare strength — love. Theology and Christian thought call this dimension “agape,” coining a then-new Greek word, because of the newness of the experience that Christians were living and still live thanks to Jesus´ life and message. Agape bursts into history along with the charisms, making its entrance both inside and outside the institutional boundaries of the Church (given the universal nature of Christianity), touching and moving people in all times and places. And if and in as much as these people are bearers of a charism, they are also bearers of agape, even when they don’t realize it. A charism is a gift of the Spirit to build up the common good. The term comes from charis, or the grace that is also the source of agape, the type of love which is typically Christian. As Benedict XVI highlighted in his "Caritas in Veritate," agape, charis, can even be the origin of the actions of who commits himself to economic and civil development; it can inspire spiritual life but also civil enterprise. This is where the layness of Christianity is: a logos that makes history and overcomes every distinction between "sacred" and "profane." A few great charisms have affected the economic field: Benedict and Francis are always cited in this regard. But there have been hundreds if not thousands of people, bearers of charisms (and so moved by agape), that have animated economic life, giving life to works of charity, assistance, mercy, and whose historical importance is often underrated. Yet, few charisms have also produced an impact in the economical thought of the time. Monasticism created an economic lexicon for the commercial revolution in Europe around 1000 A.D. Franciscanism, in its turn, gave life to the first true and actual schools of economic thought (Ockham, Scoto, Olivi) that furnished categories for first interpreting civiltà cittadina and later that of the Renaissance. Chiara´s charism of unity should be considered alongside the charisms of Benedict and Francis, since it has not only produced economic works (among them, the EOC), but has also inspired theoretical reflection in economy, just as Benedict and Francis did in their time and in their own way. Similarly, the novelty of the EOC is essentially a cultural and theoretical one. In other words, the novelty of the EOC project should be viewed in a wider cultural horizon than just the practical dimension (business, projects of help for the poor, etc.). The EOC is not primarily an organizational formula for a more ethical or more socially responsible business. It is a project for a more just and fraternal humanism. The EOC arises during one of Chiara’s trips in Brazil, from her encounter with the favelas, the slums that surround Sao Paolo. She suffered from seeing those people, among whom were some of her “children,” living in such inhuman conditions. This experience was the origin of the EOC intuition. It was not, therefore, a need to make businesses more ethical or human, but Chiara´s need to give her contribution through the Movement to a more just world, with fewer people forced to live in often inhuman conditions. That is why the EOC cannot and should not become a project of corporate social responsibility: it did not originate to renew businesses, but to renew the world. The first idea that Chiara had about the businesses was to consider them as “producers” of wealth (profits) and places of work. It was through her dialogue with the entrepreneurs and economists that Chiara extended the project towards the renewal of the internal and external life of businesses. Chiara, in order to respond to a problem essentially of injustice and of unequal distribution of goods, thinks of businesses as natural “instruments.” Normal logic would have led one to think of other institutions: foundations, nongovernmental organizations (NGOs), fundraising activities. In fact, the natural mission of the traditional business is that of creating places of work, of producing products, goods and services. The redistribution of wealth is usually not among its primary goals (even if it cannot be totally excluded, thinking of pre-tax profits and salaries). Instead, in 1991, Chiara charismatically thinks of the traditional business (or production cooperative) , and so invites it to transcend itself and go beyond its normal vocation. An important second characteristic of the EOC is its being expression of a charism. In the original vision which H.U. von Balthasar offered us of the Church, constructed around some founding and co-essential profiles, the EOC belongs to the Marian or “charismatic” profile, not the “institutional” profile . There are some characteristics that are repeatedly found in many social experiences that arise from charisms. Here is a list of those that I consider fundamental. First: the experiences that arise from charisms affirm the primacy of life over theory. Furthermore, they are popular experiences, always arising from practice and never from tables of experts or professionals. They do not implement projects but stay attentively listening to the life from which the institutions arise, and which always carry their own particular truth. Therefore, faced with the clash between how much is lived and how much should be lived according to a good theory (even the best), the clash is never resolved simply by saying that there needs to be a change in the praxis, because the vital experience incorporates in itself elements of inescapable truths, which reveal themselves essential for the success and authenticity of the very project arising out of it. In the EOC, this first dimension is well evident. Faced with the spectacle of misery and unfair distribution, Chiara did not exclaim, “Let´s begin a center of study to study a new economy.” Instead, her proposal was immediate action, based on few institutions: namely the idea of the three thirds in the division of profits, the industrial parks placed within the small towns, and the belief that“we´re poor but many”. She let life be the indicator of how to proceed, step by step. Projects to “fight against poverty,” promoted by institutions like the state, are different. In the charismatic economy, as is EOC, life comes before the theoretical reflection that always accompanies it, because life is denser with truth than any theory (which serves life if it arises from it and is nourished by it). Then, there is a second typical aspect of the charismatic economy experience. These experiences arise as an answer of love to the problems of actual people. Chiara walks through the city of Sao Paolo and is touched by the thought there were people of the Movement, members of her family, in those favelas. The EOC began for them. It never begins abstractly, it begins concretely. It is always something vital, living, of the flesh. Then, once in existence, if they are authentically charismatic projects, they show their universal inclination, which might not even be consciously present, or at least was not expressed in the original moment of inspiration. The third characteristic is that these charismatic experiences call into question the ideas of wealth and poverty. Saint Francis is also a paradigmatic model here. When he converts and returns from his trip to Spoleto, he immediately throws away the proceeds of his business transactions because he understands that true goods are others: the poverty he chooses becomes his new wealth. Every time a charism emerges in history, it puts into question the concept of “goods.” They say that the true goods, the “good things” are not those commonly understood as such, like money, power, success. Goods become poverty, the needy, communion, not to have but to give. A charism, especially if it’s big, puts the ordinary vision of things, of goods, into the limelight. Until now, I’ve been talking about charismatic economy. The EOC, arising from a charism, shares all of these characteristics that verify themselves in all experiences of charismatic economy. Is there something unique about Chiara’s charism of unity within the sizable charismatic history? I am convinced that there is. One particular trait exists and should be understood starting from the specific personality of the charism of unity. The two fundamental points (that are actually one) of Chiara’s charism are unity and Jesus Forsaken. Unity, which we could also define as “communion,” is the profound vocation of those who participate in this charism. Jesus Forsaken is the key to living unity, to building it even when reciprocity is lacking, transforming suffering into love, “wound” into “blessing.” But the types of suffering that the ideal of unity helps people see, love and transform are not so much physical sufferings as spiritual ones: the suffering of broken relationships, the lack of unity, abandonments. Therefore, it is a suffering that above all arises from wounded relationships and from disunity. Let’s try to outline a few characteristics that emerge when the charism of unity is expressed in the sphere of consumption, of relationship with goods, and therefore, with poverty. The style of consumption of those who live the charism of unity is the communion of goods. The typical characteristic of the charism of unity, relative to relationship with goods, is communion. Those living the charism of unity do not renounce everything to indicate a transcendent “beyond.” Instead, they put their goods in common to show a “beyond” that is also in the midst of the community. Here, there is a difference between Francis and Chiara Lubich (she also being influenced by the Franciscan spirituality, which she love much and from which she took her name). Francis shows us, first of all, poverty as a way of sanctity, of freedom from goods for the Good with a capital “G,” which is God. Chiara presents us with the same radicality in the relationship with goods, but by putting them in common with others in prospect of unity. Even in a (hypothetical) world without poor, the lifestyle of the charism of unity would remain the communion of goods because, in the light of this charism, one understands that goods become truly “goods” (good things) when they are put in common. Goods that are not shared become harmful. The good held close, as in jealous possession, actually impoverishes its possessor, because it deprives him of the capacity to give and to reciprocate, which is the true human patrimony that leads us to happiness (as many studies now abundantly highlight). This is why the communion of goods is at the origin, as a corner- stone, of the charism of unity’s typical sociality. Moreover, the charism of unity makes us understand that the types of poverty are very much connected with relationships and much less with goods, as is commonly thought. One falls into poverty (individuals as well as communities and peoples) when relationships become sick. This aspect also closely deals with the EOC project. When we try to help the poor with the profits given by businesses, the first form of help is a gratuitous offer of a new close relationship. The first treatment for poverty is the relationship itself. Before helping materially, one establishes a relationship with the poor person — communion, proximity. The real treatment begins there, and without this relational “primacy,” no help is effective from the perspective of communion. This vision of poverty also gives rise to a typical way of culturally and theoretically interpreting it: it always deals with wrong or sick relationships. Within the EOC, when one wants to treat forms of poverty - poverty of goods, of culture, of instruction, of clothing, of houses - the first question to begin with is always “Which relationship does not work in this situation? In this family, in this community, which mistaken or sick relationship has produced this material poverty?” The treatment for every form of indigence is always primarily a treatment of relationships: interpersonal ones, but also those with the natural environment. Therefore, from the prospective of unity and of communion, and given the specific vocation of the charism of unity, one always begins looking at poverty and wealth from the viewpoint of relationships. Therefore, for example, when a family lives in misery, the starting point is to understand — entering into relationship with them, seeing which relationships are not working (between husband and wife, between parents and children, in the community, etc. ).Perhaps, after a first glance, one might discover that this misery depends on a communion of goods that no longer functions, on an absence of fraternity in the community. In these cases, before any type of material help, the true and important intervention to take is to re-activate the local communion of goods, and only in a second phase to launch initiatives of concrete help. This is a model of action, among others, in line with the “principle of subsidiarity” of the Social Doctrine of the Church. This is also the reason for which the interventions of the EOC are aimed toward people inserted in live communities, otherwise the characteristics that allow for communion (the aim of the project) cannot be verified. At the same time, this aspect represents the limit and the prophecy of the EOC. The Economy of Communion, with the hundreds of businesses inspired by the EOC project, is not the only economic experience that arises from the charism of unity. We already mentioned this when talking about consumption and the relationship with goods. Before 1991, thousands of people tried to live the culture of unity in their own places of work and in organizations. And also after the launch of the EOC, thousands of people continued to live, as individuals, groups and organizations (cooperatives, NGOs…), the culture of unity in economic dynamics. All the economic experiences that arise from the charism of unity have another characteristic in common (besides those already mentioned): they are always fraternal, simple, of a people. “We’re poor but many” was the slogan that Chiara launched in Brazil, in 1991. This is the characteristic of experiences that arise from a charism whose aim is reciprocal love, relationships, fraternity and unity. “Chiaraful” economic experiences (if I may use this expression) are never experiences where you have a philanthropist, or big entrepreneur who gives his surplus to “the poor,” without putting his own life into question and becoming himself (or herself) brother and equal to those “poor” whom he helps. When a poor person, who has acquired a share by making a thousand sacrifices, brings his own child to the industrial park and says with pride, “This industrial park, this new economy, is also mine,” one of the most innovative and prophetic experiences of the EOC becomes a reality. For the same reason, a business that does not have profits to give still remains an EOC business because internally it works and produces a culture of fraternity. If, through time, the EOC should lose this fraternal dimension of “We’re poor but many,” I believe that its prophetic thrust would soon run out. 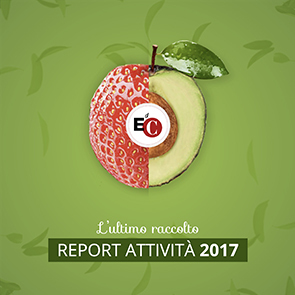 In fact, I’m convinced that if the EOC would give many millions of Euro “for” the poor, but this wealth did not come from entrepreneurs and workers who first live for the poor and for fraternity, it would not bring fruits typical of the charism of unity: fruits of communion, joy, celebration, gratuitousness and Providence.